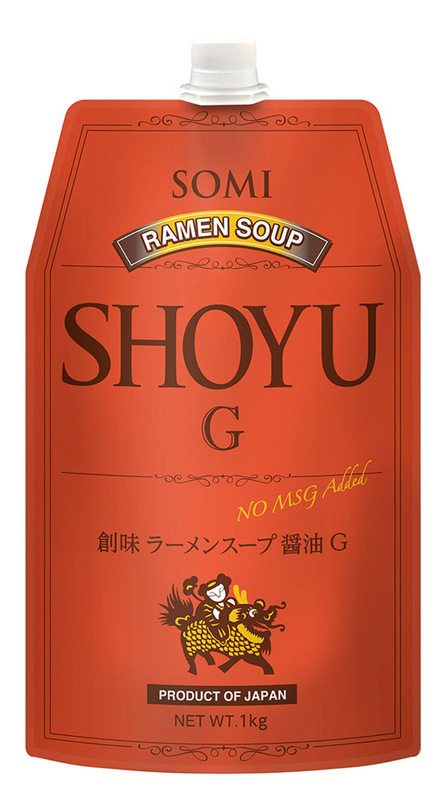 Ramen Soup Shoyu G – Somi Foods Inc. 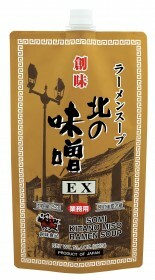 Concentrated soup flavor for making flavorful Shoyu Ramen soup. 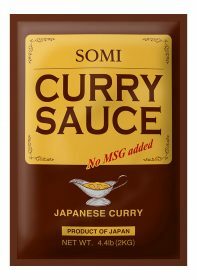 Carefully selected ingredients, including Shoyu and vegetables, create a rich and deep flavor. 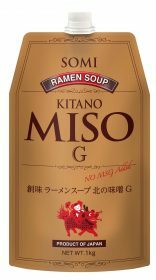 Soy sauce (33%) (Water, Soybeans, Wheat, Salt), Water, Hydrolyzed protein (Soybeans, Corn, Wheat),Vegetable oil (Canola, Sesame), Sugar, Salt, Kelp extract, Cabbage extract (Cabbage, Glucose, Maltodextrin, Salt), Yeast extract, Flavor oil (Rice bran oil, Leek), Shiitake mushroom extract, Ginger powder, Leek powder, White pepper, Garlic powder (Garlic, Potato starch), Bamboo shoot powder, Thickener (Xanthan gum), Black pepper, Acid (Lactic acid), Corn powder. 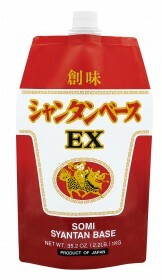 Allergy advice: Contains soybeans, wheat, and sesame. See ingredients in bold. 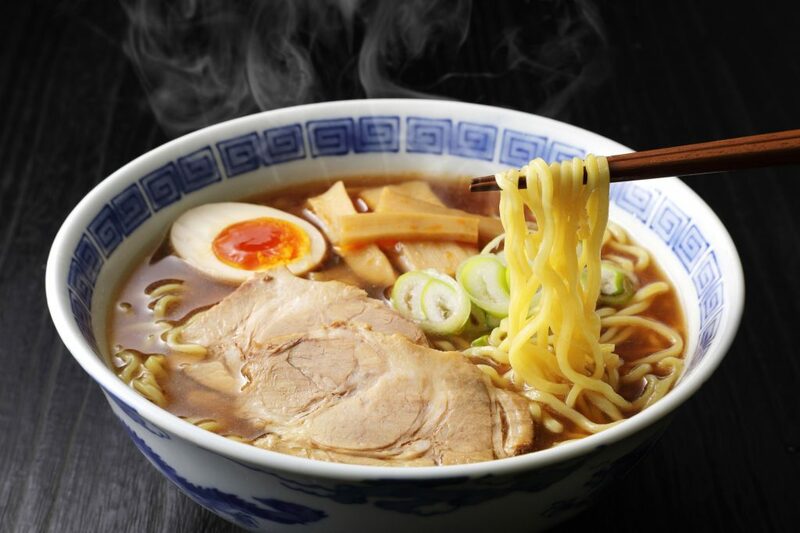 In a pan with plenty of hot water, boil the Ramen noodle. 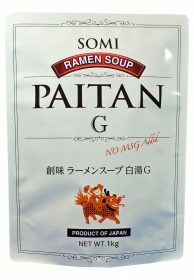 Pour 40 g of Shoyu G and 360 ml of hot water (or soup stock) into a bowl and mix well. Add boiled noodles and desired toppings. 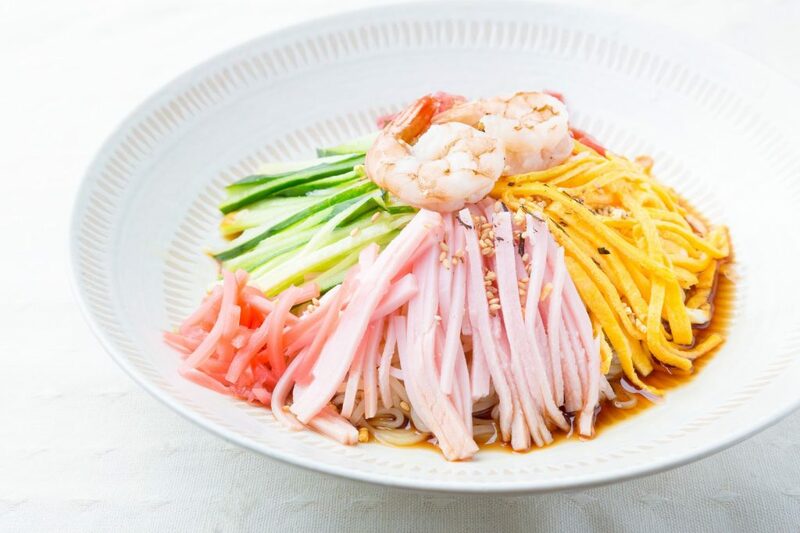 Mix the contents and serve on chilled noodles and add toppings. Thin vertical slices of tomatoes, cucumbers, fried eggs, ham, etc.